Selenite Gray 2019 Mercedes-Benz E-Class E 300 4MATIC® 4MATIC® 9-Speed Automatic I4 4MATIC®. Please visit our great selection of new Mercedes-Benz, Sprinter and smart cars. Lease and finance options from Mercedes Benz Financial and other lenders. 12 acre site with new and used at one convenient location. Serving Westminster, Denver, Boulder, Broomfield, Littleton, Aurora, Niwot, Lakewood,Thornton,Brighton,Longmont,Castle Rock, Parker, Castle Pine, Englewood, Cherry Hills, Cherry Creek, Sheridan, Federal Heights, Arvada, Golden, Evergreen, Erie, Louisville, Superior. 21/29 City/Highway MPGSelenite Gray 2019 Mercedes-Benz E-Class E 300 4MATIC® 4MATIC® 9-Speed Automatic I4 4MATIC®. Selenite Gray 2019 Mercedes-Benz E-Class E 300 4MATIC® 4MATIC® 9-Speed Automatic I4 4MATIC®. Please visit our great selection of new Mercedes-Benz, Sprinter and smart cars. Lease and finance options from Mercedes Benz Financial and other lenders. 12 acre site with new and used at one convenient location. Serving Westminster, Denver, Boulder, Broomfield, Littleton, Aurora, Niwot, Lakewood,Thornton,Brighton,Longmont,Castle Rock, Parker, Castle Pine, Englewood, Cherry Hills, Cherry Creek, Sheridan, Federal Heights, Arvada, Golden, Evergreen, Erie, Louisville, Superior. Recent Arrival! 21/29 City/Highway MPGSelenite Gray 2019 Mercedes-Benz E-Class E 300 4MATIC® 4MATIC® 9-Speed Automatic I4 4MATIC®. Black 2019 Mercedes-Benz E-Class E 300 4MATIC® 4MATIC® 9-Speed Automatic I4 4MATIC®. Please visit our great selection of new Mercedes-Benz, Sprinter and smart cars. Lease and finance options from Mercedes Benz Financial and other lenders. 12 acre site with new and used at one convenient location. Serving Westminster, Denver, Boulder, Broomfield, Littleton, Aurora, Niwot, Lakewood,Thornton,Brighton,Longmont,Castle Rock, Parker, Castle Pine, Englewood, Cherry Hills, Cherry Creek, Sheridan, Federal Heights, Arvada, Golden, Evergreen, Erie, Louisville, Superior. 21/29 City/Highway MPGBlack 2019 Mercedes-Benz E-Class E 300 4MATIC® 4MATIC® 9-Speed Automatic I4 4MATIC®. Lunar Blue Metallic 2019 Mercedes-Benz E-Class E 300 4MATIC® 4MATIC® 9-Speed Automatic I4 4MATIC®. Please visit our great selection of new Mercedes-Benz, Sprinter and smart cars. Lease and finance options from Mercedes Benz Financial and other lenders. 12 acre site with new and used at one convenient location. Serving Westminster, Denver, Boulder, Broomfield, Littleton, Aurora, Niwot, Lakewood,Thornton,Brighton,Longmont,Castle Rock, Parker, Castle Pine, Englewood, Cherry Hills, Cherry Creek, Sheridan, Federal Heights, Arvada, Golden, Evergreen, Erie, Louisville, Superior. 21/29 City/Highway MPGLunar Blue Metallic 2019 Mercedes-Benz E-Class E 300 4MATIC® 4MATIC® 9-Speed Automatic I4 4MATIC®. Cardinal Red 2019 Mercedes-Benz E-Class E 300 4MATIC® 4MATIC® 9-Speed Automatic I4 4MATIC®. Please visit our great selection of new Mercedes-Benz, Sprinter and smart cars. Lease and finance options from Mercedes Benz Financial and other lenders. 12 acre site with new and used at one convenient location. Serving Westminster, Denver, Boulder, Broomfield, Littleton, Aurora, Niwot, Lakewood,Thornton,Brighton,Longmont,Castle Rock, Parker, Castle Pine, Englewood, Cherry Hills, Cherry Creek, Sheridan, Federal Heights, Arvada, Golden, Evergreen, Erie, Louisville, Superior. 21/29 City/Highway MPGCardinal Red 2019 Mercedes-Benz E-Class E 300 4MATIC® 4MATIC® 9-Speed Automatic I4 4MATIC®. Iridium Silver 2019 Mercedes-Benz E-Class E 450 4MATIC® 4MATIC® 9-Speed Automatic 3.0L V6 BiTurbo 4MATIC®. Please visit our great selection of new Mercedes-Benz, Sprinter and smart cars. Lease and finance options from Mercedes Benz Financial and other lenders. 12 acre site with new and used at one convenient location. Serving Westminster, Denver, Boulder, Broomfield, Littleton, Aurora, Niwot, Lakewood,Thornton,Brighton,Longmont,Castle Rock, Parker, Castle Pine, Englewood, Cherry Hills, Cherry Creek, Sheridan, Federal Heights, Arvada, Golden, Evergreen, Erie, Louisville, Superior. Recent Arrival! 20/28 City/Highway MPGIridium Silver 2019 Mercedes-Benz E-Class E 450 4MATIC® 4MATIC® 9-Speed Automatic 3.0L V6 BiTurbo 4MATIC®. Obsidian Black Metallic 2019 Mercedes-Benz E-Class E 450 4MATIC® 4MATIC® 9-Speed Automatic 3.0L V6 BiTurbo 4MATIC®. Please visit our great selection of new Mercedes-Benz, Sprinter and smart cars. Lease and finance options from Mercedes Benz Financial and other lenders. 12 acre site with new and used at one convenient location. Serving Westminster, Denver, Boulder, Broomfield, Littleton, Aurora, Niwot, Lakewood,Thornton,Brighton,Longmont,Castle Rock, Parker, Castle Pine, Englewood, Cherry Hills, Cherry Creek, Sheridan, Federal Heights, Arvada, Golden, Evergreen, Erie, Louisville, Superior. 20/28 City/Highway MPGObsidian Black Metallic 2019 Mercedes-Benz E-Class E 450 4MATIC® 4MATIC® 9-Speed Automatic 3.0L V6 BiTurbo 4MATIC®. Black 2019 Mercedes-Benz E-Class E 450 4MATIC® 4MATIC® 9-Speed Automatic 3.0L V6 BiTurbo 4MATIC®. Please visit our great selection of new Mercedes-Benz, Sprinter and smart cars. Lease and finance options from Mercedes Benz Financial and other lenders. 12 acre site with new and used at one convenient location. Serving Westminster, Denver, Boulder, Broomfield, Littleton, Aurora, Niwot, Lakewood,Thornton,Brighton,Longmont,Castle Rock, Parker, Castle Pine, Englewood, Cherry Hills, Cherry Creek, Sheridan, Federal Heights, Arvada, Golden, Evergreen, Erie, Louisville, Superior. 20/28 City/Highway MPGBlack 2019 Mercedes-Benz E-Class E 450 4MATIC® 4MATIC® 9-Speed Automatic 3.0L V6 BiTurbo 4MATIC®. Selenite Gray 2019 Mercedes-Benz E-Class E 53 AMG® 4MATIC® 4MATIC® 9-Speed Automatic I6 I6, 4MATIC®. Please visit our great selection of new Mercedes-Benz, Sprinter and smart cars. Lease and finance options from Mercedes Benz Financial and other lenders. 12 acre site with new and used at one convenient location. Serving Westminster, Denver, Boulder, Broomfield, Littleton, Aurora, Niwot, Lakewood,Thornton,Brighton,Longmont,Castle Rock, Parker, Castle Pine, Englewood, Cherry Hills, Cherry Creek, Sheridan, Federal Heights, Arvada, Golden, Evergreen, Erie, Louisville, Superior. 21/28 City/Highway MPGSelenite Gray 2019 Mercedes-Benz E-Class E 53 AMG® 4MATIC® 4MATIC® 9-Speed Automatic I6 I6, 4MATIC®. Obsidian Black Metallic 2019 Mercedes-Benz E-Class E 53 AMG® 4MATIC® 4MATIC® 9-Speed Automatic I6 I6, 4MATIC®. Please visit our great selection of new Mercedes-Benz, Sprinter and smart cars. Lease and finance options from Mercedes Benz Financial and other lenders. 12 acre site with new and used at one convenient location. Serving Westminster, Denver, Boulder, Broomfield, Littleton, Aurora, Niwot, Lakewood,Thornton,Brighton,Longmont,Castle Rock, Parker, Castle Pine, Englewood, Cherry Hills, Cherry Creek, Sheridan, Federal Heights, Arvada, Golden, Evergreen, Erie, Louisville, Superior. 21/28 City/Highway MPGObsidian Black Metallic 2019 Mercedes-Benz E-Class E 53 AMG® 4MATIC® 4MATIC® 9-Speed Automatic I6 I6, 4MATIC®. Selenite Gray 2019 Mercedes-Benz E-Class E 53 AMG® 4MATIC® 4MATIC® 9-Speed Automatic I6 I6, 4MATIC®. Please visit our great selection of new Mercedes-Benz, Sprinter and smart cars. Lease and finance options from Mercedes Benz Financial and other lenders. 12 acre site with new and used at one convenient location. Serving Westminster, Denver, Boulder, Broomfield, Littleton, Aurora, Niwot, Lakewood,Thornton,Brighton,Longmont,Castle Rock, Parker, Castle Pine, Englewood, Cherry Hills, Cherry Creek, Sheridan, Federal Heights, Arvada, Golden, Evergreen, Erie, Louisville, Superior. Recent Arrival! 21/28 City/Highway MPGSelenite Gray 2019 Mercedes-Benz E-Class E 53 AMG® 4MATIC® 4MATIC® 9-Speed Automatic I6 I6, 4MATIC®. Polar White 2019 Mercedes-Benz E-Class E 63 S AMG® 4MATIC® 4MATIC® 9-Speed Automatic 4.0L V8 4MATIC®. Please visit our great selection of new Mercedes-Benz, Sprinter and smart cars. Lease and finance options from Mercedes Benz Financial and other lenders. 12 acre site with new and used at one convenient location. Serving Westminster, Denver, Boulder, Broomfield, Littleton, Aurora, Niwot, Lakewood,Thornton,Brighton,Longmont,Castle Rock, Parker, Castle Pine, Englewood, Cherry Hills, Cherry Creek, Sheridan, Federal Heights, Arvada, Golden, Evergreen, Erie, Louisville, Superior.Polar White 2019 Mercedes-Benz E-Class E 63 S AMG® 4MATIC® 4MATIC® 9-Speed Automatic 4.0L V8 4MATIC®. Lunar Blue Metallic 2019 Mercedes-Benz E-Class E 63 S AMG® 4MATIC® 4MATIC® 9-Speed Automatic 4.0L V8 4MATIC®. Please visit our great selection of new Mercedes-Benz, Sprinter and smart cars. Lease and finance options from Mercedes Benz Financial and other lenders. 12 acre site with new and used at one convenient location. 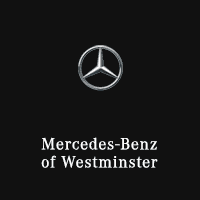 Serving Westminster, Denver, Boulder, Broomfield, Littleton, Aurora, Niwot, Lakewood,Thornton,Brighton,Longmont,Castle Rock, Parker, Castle Pine, Englewood, Cherry Hills, Cherry Creek, Sheridan, Federal Heights, Arvada, Golden, Evergreen, Erie, Louisville, Superior.Lunar Blue Metallic 2019 Mercedes-Benz E-Class E 63 S AMG® 4MATIC® 4MATIC® 9-Speed Automatic 4.0L V8 4MATIC®. Black 2019 Mercedes-Benz E-Class E 63 S AMG® 4MATIC® 4MATIC® 9-Speed Automatic 4.0L V8 4MATIC®. Please visit our great selection of new Mercedes-Benz, Sprinter and smart cars. Lease and finance options from Mercedes Benz Financial and other lenders. 12 acre site with new and used at one convenient location. Serving Westminster, Denver, Boulder, Broomfield, Littleton, Aurora, Niwot, Lakewood,Thornton,Brighton,Longmont,Castle Rock, Parker, Castle Pine, Englewood, Cherry Hills, Cherry Creek, Sheridan, Federal Heights, Arvada, Golden, Evergreen, Erie, Louisville, Superior.Black 2019 Mercedes-Benz E-Class E 63 S AMG® 4MATIC® 4MATIC® 9-Speed Automatic 4.0L V8 4MATIC®.